Zeejai Leonard leads GSA Club in putting an end to "traditional" robe colors. Just before Woodside’s Gender and Sexuality Alliance (GSA) meeting, Woodside senior Zeejai Leonard borrows a bathroom key from English teacher Tony Mueller. Students who want to use a gender-neutral bathroom have to get a key to unlock it from a teacher and walk to one of the few staff bathrooms available for students of all gender identities to use. 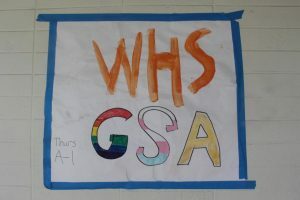 Going out of the way to find a gender-neutral bathroom is an experience that many of the members of the GSA are familiar with, and gender politics and issues of identity can be tough to navigate at Woodside. Like bathrooms at Woodside, graduation robes present tough situations for gender-queer students. Every year, girls in white robes and boys in orange ones walk up to the stage on Bradley Field to receive their diploma. However, separating gender by white and orange causes unintended results for genderqueer students. 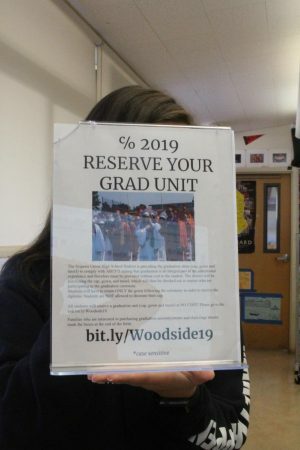 As Woodside seniors continue ordering their graduation robes, students in the GSA are currently lobbying for a end to gendered colors. Seniors must order their graduation attire. Leonard, who is president of the GSA, is spearheading the effort to discontinue such traditions. 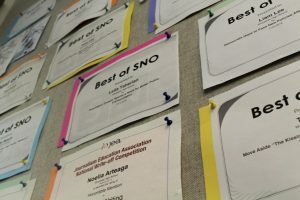 “Our current issue is while we still technically have the choice, and anyone can choose orange or white… it still sets up those expectations and stereotypes,” Leonard explained. 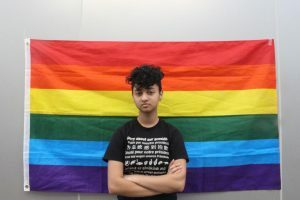 For many students at Woodside who may be gender-neutral, gender-nonconforming, or transgender, whether out of the closet or not, this can be an upsetting, uncomfortable experience. Safety and privacy are also issues that need to be considered. Others at the GSA meeting voiced their concerns as well. Many didn’t want to have to commit to either orange or white, knowing their choice would make people see them as a girl or boy, or open them up to harassment based on the gender “traditionally” assigned to each color. 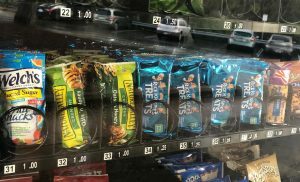 Students have the option to choose which color they want, but the choice still doesn’t work for some. Jet Thipphawong, a junior at Woodside, explained a situation from last year’s graduation where the robes caused conflict. A student was forced to wear white in order to avoid outting themself as nonbinary, causing them to be misgendered. For some students, expressing the gender they identify with at school could endanger them or introduce them to harassment or verbal abuse from transphobic or homophobic parents. Leonard has an agenda for shifting away from gender-based robes. Leonard met with Ms. With on Monday, December 3rd. Danny Whiting, a senior at Woodside, also disagrees with the practice. Safety was an issue for Whiting as well. The issue of gender identity is tricky, and many are unsure exactly how they identify, but know they aren’t straight or cisgender (identifying with their birth gender). This is a problem that not many cisgender students and teachers are aware of. 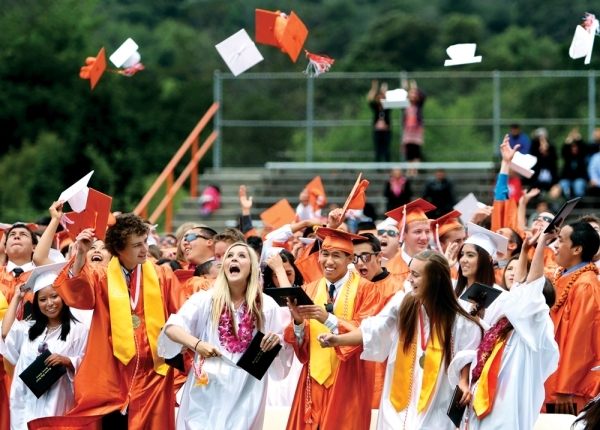 Boxing students into orange or white robes causes problems for students. Zeejai Leonard, GSA President and head of non-binary graduation robes movement. Leonard is hopeful for graduations in years ahead.